Expecting a second baby or maybe twins? Nowadays there are so many stroller brands and for most parents a jungle to find the perfect match. Today Prêt à Pregnant founder Janine has selected 3 duo strollers that might meet all your wishes and expectations. Stay tuned for more stroller updates. The Stokke Crusi is one of the most popular models of the premium Scandinavian brand. It can be used with carry cot, stroller seat, car seats and optional sibling solution. It has 3 parent facing positions: sleep, rest and active, and 2 forward facing positions: rest and active. Advantage is that the Crusi is lightweight, boasts a robust chassis with large shopping basket is easy to fold and light to carry. Stokke’s philosophy is about connecting people. And meets that expectation with its high carry cot and stroller seat position, which brings the baby closer to mom and dad. The seat features three positions when facing you (sleep, rest and active) and two positions when facing out (rest and active). Both the top seat and the Sibling Seat feature a five point safety harness to keep your baby optimally secured in their seats. Janine tested the Easywalker Harvey, see watch she thought of the duo stroller. Whether you dream of having a big family now or in the future, expanding your family takes quite some planning. Also, when it comes to choosing the perfect duo pushchair for your growing family. Having not just one but two or more infants playing and running around can be quite a hand full. A stylish yet practical duo pram that can support all your family adventures. 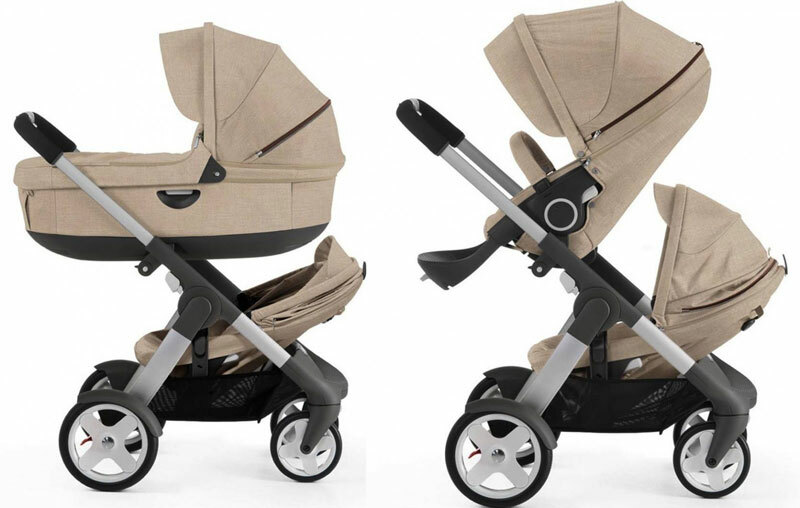 The Joolz Geo² is the ideal family pram which you can easily transform and expand from a single configuration into a duo pushchair for your second child.